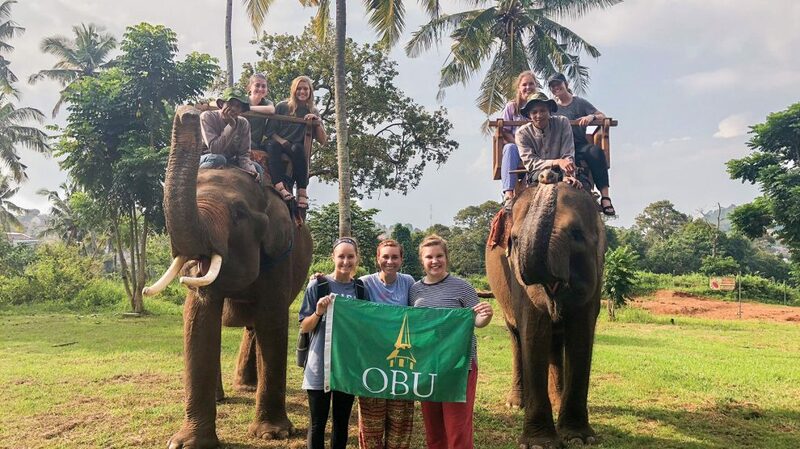 A group of six OBU nursing students and two mentors took the voyage of a lifetime this summer, traveling to Bandar Lampung, Sumatra, Indonesia, on a multi-week, cross-cultural ministry experience. The journey was a Global Outreach (GO) Trip, with the purpose of extending the Gospel of Jesus Christ while also giving students a chance to experience a different culture. Dr. Robin Brothers, assistant professor of nursing, and OBU nursing alumna Hannah Christian served as mentors for the team, which traveled May 30 through June 21. The team included students Sarina, Alex, Blythe, Malia, Devyn and Julianna. Throughout the trip, the team of nursing students had the chance to observe nurses, doctors and patients at a local hospital, Rumah Sakit Imanuel, and assisted with a local English support group. Devyn had never been out of the United States before her GO Trip but wanted to gain more practical experience in both nursing and sharing the gospel. Now, she is considering returning to Indonesia in the future on another GO Trip. According to Devyn, simple things like transportation were more hectic in Indonesia. Along with cars and motorbikes, the streets and city were also filled with people selling various things to get tips or donations. While employment isn’t hard to find, Devyn said well-paying employment is, resulting in shops hiring many employees for small wages. Devyn believes GO Trips are essential in allowing OBU students to experience the world and to see how Christianity looks around the world. Devyn believes participating in GO Trips most importantly shows people God’s power through their weaknesses. PAYTON CLARK is a senior communication studies major. She interned in the OBU Marketing and Communications office during the summer of 2018.